There are now many novels, all written in sequels with its own universe. Each books have their own complete story and main characters, but you can see glimpse of people from the books before in the later books. There are 2 universes, medieval-like Tortall Universe (set in Tortall) and present-magic-world Circle Universe (Circle of Magic). OK, although that it seems like story for girls (the main purpose), the story is adventure and fantasy enough for boys. I think the main characters can be good role models for girls, especially with the variety of them. Usually “empowerment” in books means you need to be like Alanna, using sword, disguising as a boy, but no, you can also be a Lady Knight who’re graceful, or a Master Informant. 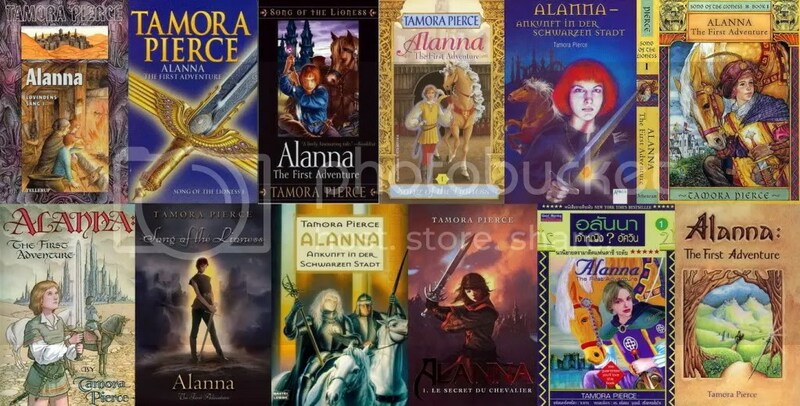 Posted on September 16, 2011, in Reading and tagged alanna, alianne, beka, briar, circle of magic, daine, daja, download, fantasy, girls, kel, magic, novel, pdf, Sandry, share, tamora pierce, tortall, tris, Young adult. Bookmark the permalink. 1 Comment. Pingback: Banning good female role models « Reading Irresponsibly!